WELLINGTON, New Zealand – New Zealand plans to slaughter about 150,000 cows while trying to eliminate a strain of disease-causing bacteria from the national herd. Politicians and industry leaders announced on Monday the ambitious plan. They say it will cost hundreds of millions of dollars, and if successful, it would be the first time an infected country has eliminated Mycoplasma bovis. In New Zealand, agriculture is crucial to the economy, as its isolation has helped protect it from diseases that other herds encounter. Last July, Mycoplasma bovis was first found in the country. The bacteria in Europe and the US can cause cows to develop mastitis, pneumonia, arthritis and other diseases. They are not considered a threat to food safety, but cause production losses. Officials have the legal authority to violently invade farms and kill animals, even in cases where a peasant could defend themselves, but they said they hope they do not need those forces. 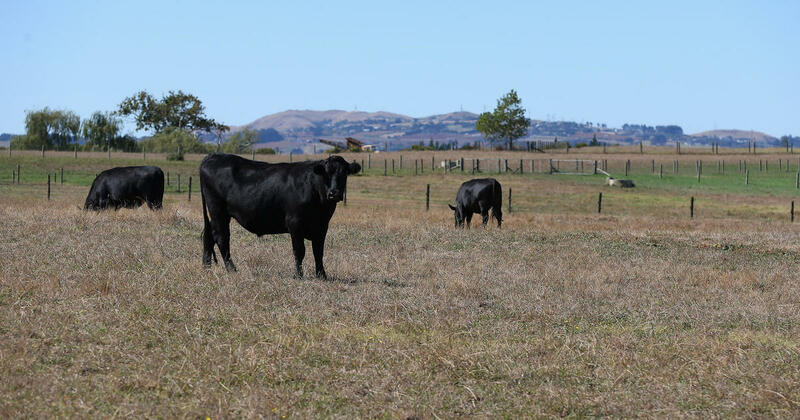 Katie Milne, national president of the advocacy group Federated Farmers, said it was important to try to get rid of Mycoplasma bovis while there was still a chance. She said they would try to ensure that the farmers concerned received the necessary support, including adequate compensation. "It's a hard time, and the pain and agony they're going through is really abominable," she said of the farmers involved. "And we have to support them as neighbors, parishioners, peasants, friends." 0 million cows, about twice as many people. About two-thirds are dairy cows and the remainder cattle. Dairy products represent the country's largest single export, and much of it is sold to China and used as a baby food. Mycoplasma bovis has so far been found on 38 farms throughout New Zealand, a number that they expect to have at least 142 farms based on computer models. They say that all the infections found so far are due to a single farm and that the bacteria probably arrived in New Zealand 18 months before their first discovery. The officials are still trying to figure out how the bacteria came into the country despite strict biosafety controls. Approximately 24,000 cows have been killed in recent months and at least 128,000 more must be stolen, most in the next year or two. The cost of the eradication program is estimated at 886 million New Zealand dollars ($ 616 million) in ten years. The government plans to take over two-thirds of the tab, while the peasants and livestock will pay the rest. "We do not know in the long term what impact it could have on an industry that is incredibly important to the New Zealand economy," she said. "So if we have the chance to be the country that is eradicating this disease, then we will take it." Officials say they know by the end of the year if the repayment plan works.